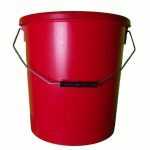 10 Litre red plastic bucket comes with plastic lid and metal handle. 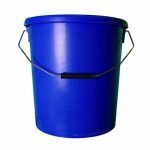 This brightly coloured plastic bucket is manufactured in the UK from high-quality polypropylene (PP). 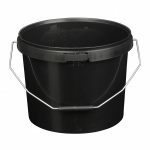 The plastic is 100% food-grade and safe for storing a wide variety of edibles, plus other sensitive products like paint and chemicals. 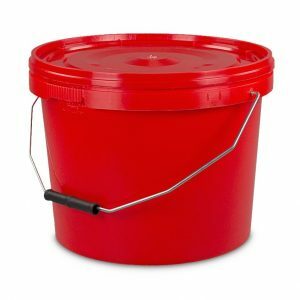 This container is also available in wholesale quantities. For larger orders please contact us. Call: 0151 639 0002. 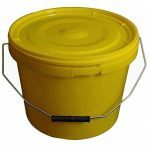 Other quantities available upon request – call 0151 639 0002. © 2019 RL Plastics Ltd. All rights reserved.